In this case, it’s age old mysticism from the Mesoamerican culture. 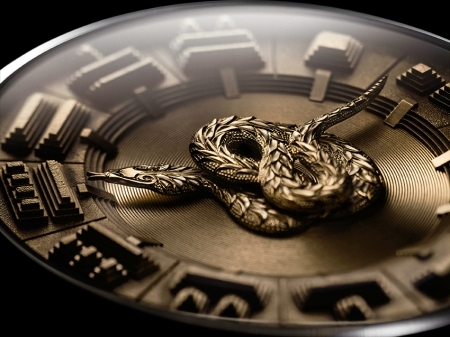 The serpent featured in the solid gold face of the wristwatch is considered to govern the cycle of time from dawn to dusk. 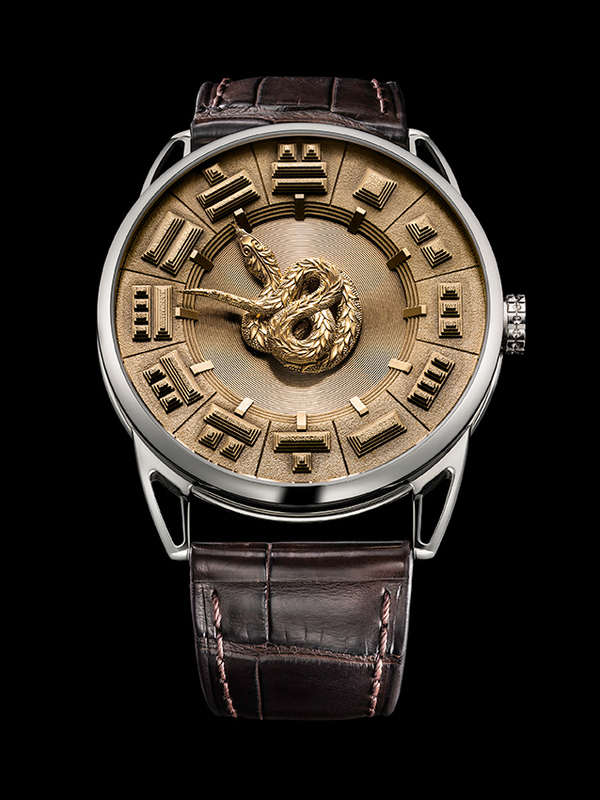 This powerful symbol of Mesoamerican culture was the core of worship and sacred rituals. The related myths and legends appear in the writings of the colonial period. 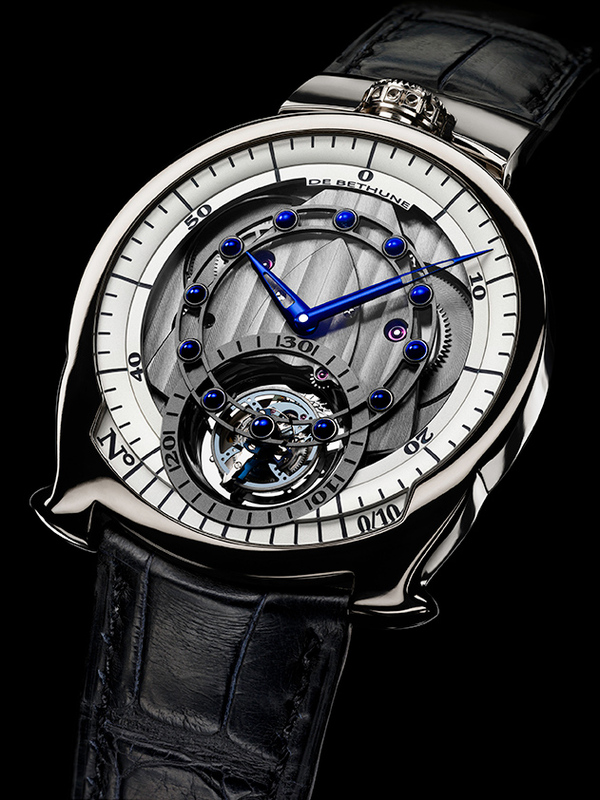 Additionally, De Bethune celebrate the 10th anniversary of their iconic DBS model by creating a tourbillion.